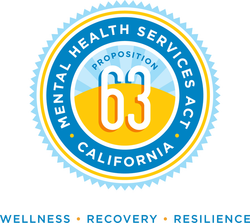 The purpose of the Mental Health Services Act (MHSA) is to expand, improve and develop mental health services in California. Put forth by a ballot initiative in November 2004, this Act is funded by a 1% tax on taxable income for any personal income over 1 million dollars a year. ﻿Community Services and Support (CSS)﻿ expands services and improves systems at the local level. CSS supports local community collaboration to ensure that all services are culturally competent, client- and family-driven, and recovery- and wellness-oriented. Prevention and Early Intervention supports services to help prevent mental illness and treat it in the early stages, before it becomes severe and disabling. The Innovation component brings cutting-edge innovations in mental health programs to California. It is improving the quality of services and expanding access to programs. Capital Facilities and Technological Needs develops the modern facilities and technologies needed to deliver high-quality and cost-effective community-based mental health services. Workforce Education and Training strengthens the mental health workforce. The goal is to better serve California's linguistically and culturally diverse communities and ensure staff includes people with first hand experience with mental illness. To learn more about the MHSA, please visit the California Department of Health Care Services. 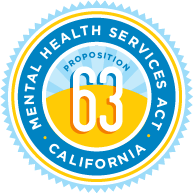 Voter-approved Proposition 63, also known as the Mental Health Services Act (MHSA), ﻿provides housing, treatment, recovery and hope to thousands of Californians everyday. Learn more at ﻿prop63.org. 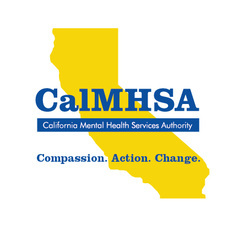 ﻿CalMHSA ﻿serves California Counties and Cities in the dynamic delivery of mental health and supportive services. A nationally recognized leader, CalMHSA inspires the service community through its commitment to results and values. Successful statewide and regional programs enable the voice of many to be heard. The California Behavioral Health Directors Association of California (CBHDA) is a non profit advocacy association representing the mental health directors from each of California's 58 counties, as well as two cities (Berkeley and Tri-City). Here you will find an array of information ranging from public policy issues and updates, ﻿CBHDA ﻿ committee information, breaking news, and other educational informational materials. The ﻿California Institute for Behavioral Health Solutions (CiBHS)﻿ was established in 1993 to promote excellence in mental health services through training, technical assistance, research and policy development. Local mental health directors founded ﻿CiBHS﻿ to work collaboratively with all mental health system stakeholders. The commitment to collaboration has led the board to expand board membership to include consumers, family members, and other interested persons representing the public interest. NAMI is the National Alliance on Mental Illness, the nation’s largest grassroots mental health organization dedicated to building better lives for the millions of Americans affected by mental illness. ﻿NAMI ﻿advocates for access to services, treatment, supports and research and is steadfast in its commitment to raise awareness and build a community for hope for all of those in need. The MHSOAC oversees the implementation of the Mental Health Services Act (MHSA). The MHSOAC is also responsible for developing strategies to overcome stigma, the MHSOAC may advise the Governor or the Legislature on mental health policy. For more information on kings County MHSA plans see our resource tab.